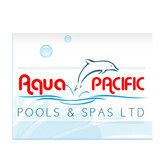 We are a mobile pool and spa service company. We are also a pool contractor for the installation of in ground and above ground pools. With a fully stocked truck we are able to service all makes of hot tubs quickly and efficiently at a reasonable cost. Hot tub services, additionally we sell hot tub supplies. 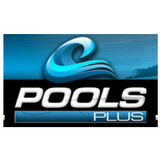 Pools Plus Vancouver is committed to providing the best service in the market at competitive rates. Pools Plus is a family owned and operated company. The owners of the company are also the employees, as such we treat our customers with the utmost care and attention as we would our own family. We are available 24/7 for our customers and will always pick up the phone to speak with you about any concerns and schedule a service call if the situation requires it. We treat every pool and client as the individuals they are. There is no blanket approach to our service and tailor each visit to accommodate the needs of you and your pool. Thank you for choosing Pools Plus Vancouver. 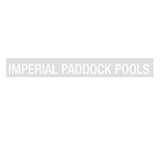 Imperial Paddock Pools is the full-service family owned pool care company Vancouver trusts for exceptional service. We specialize in the maintenance and repair of all types of swimming pools, spas, hot tubs, fountains, whirlpools and any other aquatic installation your home, business or residential unit features. Over the past 60 years, we’ve serviced thousands of commercial and residential pools. If you’re looking for time tested, tried and true pool care in the Lower Mainland, count on Imperial Paddock Pools for knowledgeable service every step of the way. We are one of the few full service pool and spa companies which have in house control of the mechanical work as well as all build work that we provide to our customers. 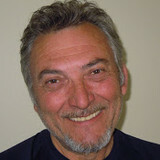 By staying local and focusing our energies and resources in this way we are able to offer superior service and prices. What should I look for when hiring a pool cleaning service in Nanaimo, BC? Pools and hot tubs are big investments, so you’ll want to make sure to protect them by hiring an expert who cares about them just as much as you do. Check that the Nanaimo swimming pool maintenance service you are interested in actually specializes in the type of pool you have — chlorine and salt water pools have very different needs, and in-ground versus above-ground pools will require different upkeep and repair methods. Also, know who will be doing the repair or service; if it’s one of the larger swimming pool services in Nanaimo, BC, request that you get same person every time, otherwise you could get inconsistency in treatments. Good Nanaimo pool professionals will keep a consistent schedule and log everything they do so that it can be referenced in the event that you switch companies or something does go wrong. Like any other professional, look for local pool cleaning companies near you with plenty of good reviews and relevant experience. Find a Nanaimo, BC swimming pool repair and maintenance specialist on Houzz. Narrow your search in the Professionals section of the website to spa and pool maintenance companies in Nanaimo, BC and read reviews and ratings for pros in your area.